Extended shelf life of food and beverages and fulfillment of drug sterility requirements are the major driving factors for the growth of aseptic packaging market. New injectible drugs and other biotechnology-based products are heat sensitive and are need to go through with sterilization process and packaging. This is expected to increase the demand for aseptic packaging in pharmaceutical industry. Moreover, rising consumer’s interest towards natural food and beverage products are increasing the adoption of aseptic packaging for dairy products and ready-to-drink beverages. 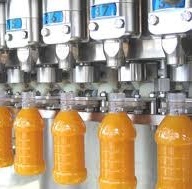 This is anticipated to encourage expansion of aseptic packaging business in food & beverage industry. However, reluctance of manufacturers to shift from hot-fill and retort processing procedure which are highly efficient and cost effective than aseptic processing is restraining the growth of aseptic packaging market. Aseptic packaging also known as high-temperature–short-time (HTST) processing is a solution for sustainable packaging as it eliminates hydrochlorofluorocarbons (HFC) refrigerants emissions. This is bringing the revolutionary changes in packaging industry. In 2016, during the CleanEnviro Summit, Singapore Minister for the Environment and Water Resources announced that the National Environment Agency (NEA) will introduce mandatory requirements for more sustainable packaging and waste management. Government mandatory requirements are aiming to make Singapore a zero-waste nation and are expected to be implemented within next 5 years. Such initiatives taken by government are anticipated to bring potential business opportunities for aseptic packaging market in the near future. Global aseptic packaging market is projected to grow from USD 41.6 billion in 2016 is anticipated to grow at a CAGR of 10.2% during the forecast period. Rising demand for convenience packaging for ready-to-eat food products are likely to impact the packaging industry growth and eventually will bolster the aseptic packaging market. Asia-Pacific region accounted for the largest share for global aseptic packaging market in 2016, owing to the growing food & beverage industry in countries such as China, Indonesia and India. Asia-Pacific aseptic packaging market valued USD 15.81 billion in 2016. Presence of large number of companies offering aseptic packaging for food, beverages and healthcare products are strengthening the demand in Europe region. Europe accounted for 28% revenue share of global aseptic packaging in 2015 and is anticipated to grow at a CAGR of 9.7% during the forecast period. Expansion of business by leading market players to emerging economies with innovative packaging expertise is spurring the demand for aseptic packaging in Latin America region. Brazil occupied the largest share of Latin America aseptic packaging market in terms of revenue followed by Argentina in 2016. Latin America aseptic packaging market is expected to reach USD 11.54 billion by the end of 2024, growing at a CAGR of 13.6% during the forecast period. Huge culture of consumption of packaged and readymade food in the U.S. and Canada is accelerating the adoption of aseptic packaging in North America region. North America aseptic packaging market is expected to grow at a CAGR of 10.0% over the forecast period. Owing to the rising disposable income, urbanized populations are more inclined towards the healthy and safe packaging for foods. Thus, increasing income, changing lifestyle and consumption of packaged foods are likely to drive the growth of aseptic packaging market. However, complexity of the aseptic technology and lack of highly trained workforce are restricting the adoption of aseptic processing by manufacturers. Moreover, necessity to fulfill various mandatory regulatory requirements to operate aseptic processing and high cost of equipments used for aseptic filling are hindering the growth of aseptic packaging market. Greatview Aseptic Packaging Co., Ltd.